There was a time in the not-so-distant past when the word “batch brewer” and “quality coffee” rarely shared the same sentence. Today, however, the word is out – you can have the best of both worlds. A dialed-in batch brewer with fresh and lively beans can solve a myriad of coffee shop woes. Here are a few reasons to rethink your drip system as something that can elevate your customer’s coffee experience, rather than compromise it. Control: You have the power to set the parameters to your coffee’s specific wishes. If you want to take it to the next level by manipulating flow rates and pulsing sequences, batch brewers are happy to oblige without deviation. Set your brew size, temperature, and whatever else you need in order to customize your coffee program. Speed of Service: Batch brew as much or as little as you need to serve the customer quickly and reduce waste. Aesthetics: Times have changed and so have brewers. There are so many brewers on the market now that serve as a compliment to your cafe, even as a showpiece. Quality is not only felt but seen, and the brewers of the future will surely keep aesthetics at the top of the priority list. Brew what you want when you want: Want to offer 15 different coffees at any given time? 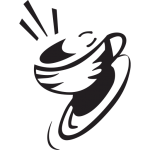 By-the-cup brewers can accommodate even the lengthiest of coffee menus at the press of a button. Decaf and seasonal offerings can often be wasted if made in excessive amounts, but a by-the-cup system will save that waste while also boasting a fresher product for your customer. Advancements in Technology: By embracing mechanical brewing, you’re also advocating for technological advancement. Much has been accomplished in the world of coffee extraction through technology and engineering; whether it’s lime-resistant components to keep your system running strong, energy saving features for optimal performance while minimizing your energy footprint, or updatable software that keeps you always ahead of the curve. Coffee Freshness: Managing freshness after brewing is a critical component to any coffee program. At-a-glance digital systems on dispensers make it easy to know when it’s time to brew more coffee. Ease of Use: Investing in equipment is an investment in a tool, and that tool should integrate seamlessly into your operations. A good brewer will be designed for easy and intuitive operation, maintenance, and cleaning. Because when it’s time to work, you need a frill-free zone. Does its job so you can do yours: The more efficiently your machine works, the more efficiently you can work. Volume brewing has never been easier! Bloomfield’s traditional thermal brewers are perfect for high volume operations. With the superior spray head design, 2 brew volumes and fast access to components this brewer is the staple for commercial brewing. High quality meets simplicity. Simplify brewing and serving high volumes of fresh coffee at the perfect temperature. IntelliFreshTM (IF) technology maintains coffee’s ideal freshness and temperature throughout the dispensing cycle by enveloping the satellite servers with pulses of gentle heat. These pulses keep the coffee at a consistent temperature while maintaining coffee’s chemical structure.